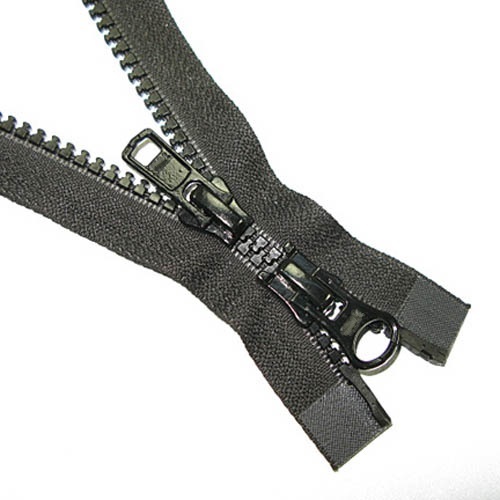 A Separating Zipper is a complete zipper sold in specific lengths and includes the slider, top stops and bottom stop. 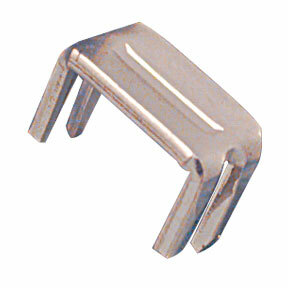 Used in jackets, marine canopies or applications where one piece needs to be completely removed from another piece. Easy to shorten by cutting the zipper top and attaching new top stops. YKK® Brand Chain Zipper also called Continuous zippers come on spools of 50 yards or more and are cut to length to suit any application. 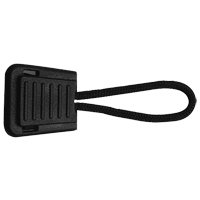 Chain Zippers always have one end closed or both ends closed for duffel bags, pockets, marine canvas screen windows etc. 2 Way Separating Zippers are basically the same as a Finished Zipper except the 2-Way Zipper allows you to open the bottom portion of the zipper while the top portion is still zippered allowing the wearer easier access to inside pockets, ventilation and relief restrictive movement. 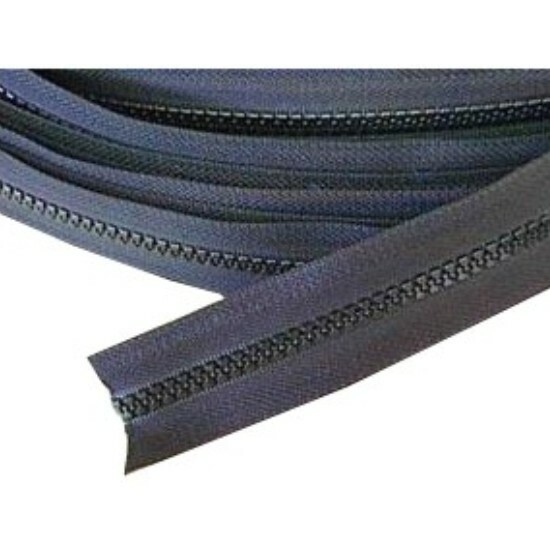 These zippers are most commonly used for jackets, sportswear, outerwear, rain-wear etc. 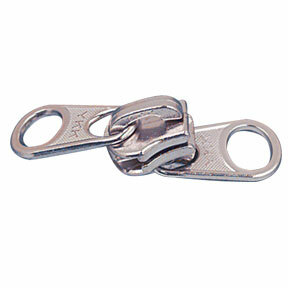 YKK® Brand Double & Single Pull Zipper Sliders for Toothed or Coil Zippers from Sizes #4 through #10. 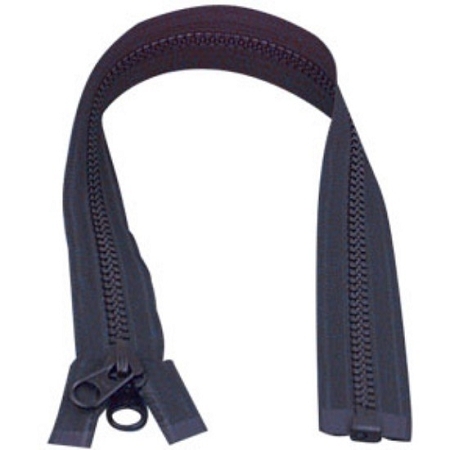 YKK® Brand Top & Bottom Zipper Stops from #5 to #10 zipper sizes. Add a Zipper Pull to your zipper slider, making it easier to open and close your zippers. 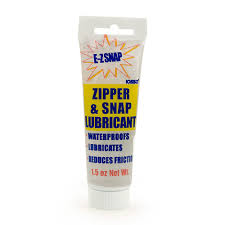 Zipper Lubricant keeps zippers free flowing. It will not rinse away or dissipate in hot weather. The formula is non-hazardous and does not contain solvents, silicone or Teflon®. Great on boat covers, tents and campers. Zipper Stop Pliers enables you to shorten zippers or make zippers of any length when working with continuous zipper tape. 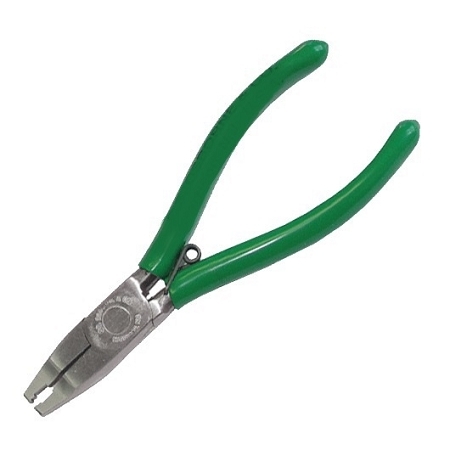 Zipper Stop Pliers are designed to install any kind of stop on zippers and helps to eliminate slippage and distortion of the zipper stops.